Switching grades is extremely overwhelming. Especially if it wasn’t your choice. It feels like you’re being asked to start all over again. Even if it was your choice, it can still seem daunting. Those somehow still so familiar feelings of panic and inadequacy you had as a first year teacher arise when you remember your first year of teaching and have the sudden fear that this might be like being a brand new teacher all over again. Don’t be afraid though! First of all, it’s not your first year teaching again and this might actually end up being your favorite grade you never knew you loved (just go with me on this). Even if you’re leaving a grade you love, and are so comfortable with, for what seems like a whole other world, I promise I have both words of comfort and practical advice for you that I hope can help you make an easy transition to your new grade level. Although scary at first, this change might refresh and renew your love of teaching and halfway through the year you’ll wonder how you could ever go back to kindergarten… or fourth grade, or wherever you came from. I hope I can comfort you in this transition but also give you actionable tips that you can use today to help you in your new adventure next school year… but I am going to start with comfort because, let’s face it, that’s what you need most right now. At least for a minute. I’d hug you if I could. Having to change grade levels is really tough. You go through a range of emotions that you have every right to feel. If you are switching to kindergarten or second grade, I still think it’d be a really helpful read for you! I laid out everything a teacher new to first grade would want to know – from how to teach math and set up your math block, to all the components to teaching reading, to classroom management, to classroom set up, to how to fit in science and social studies… with a lot of pictures to help guide you! Okay, let’s get started. This post is long but I think you’ll find it helpful if you read it through. You may feel angry that you’re being asked to move. You may feel sad about it. You probably feel both, depending on the day. You may feel panic and fear. You may feel like you’re scrambling. You may wonder, with everything else you have going on, how you’ll be able to “start over.” You may feel really, really down. It is normal to feel these things. Give yourself permission to feel every way about it that you do. What grade you teach can feel like a big part of your identity. “I teach third grade!” is something you’re not only used to saying but it’s really part of who you are and who you’ve been. It is perfectly okay to mourn the loss of your old grade level, of that identity you’ve become so accustomed to. Cry if you need to, go in your backyard and let out a scream if you need to. Let yourself feel all those emotions so that you can get it out of your system and get to the next one – excitement for your new grade level! Once you’re ready for the excited phase (and you may have to fake it at first), push away any thoughts about how you’ll miss your old grade level or team or whatever – and focus on your exciting new adventure! Step 2: Remember what a good teacher you already are. This isn’t starting all over. You’re not reliving your first year. Back then, you were new to the grade level and new to teaching. Yes, the content you’re teaching is a bit different but kids are kids. So many of the classroom management tricks you’ve picked up and used in kindergarten will work in third grade too, and vice versa. If anything, it’s probably a slightly different approach than the kids are used to and might work really well because of that. Your time management skills, organization systems, etc. that you probably don’t even realize have grown so tremendously since your first year are still intact. 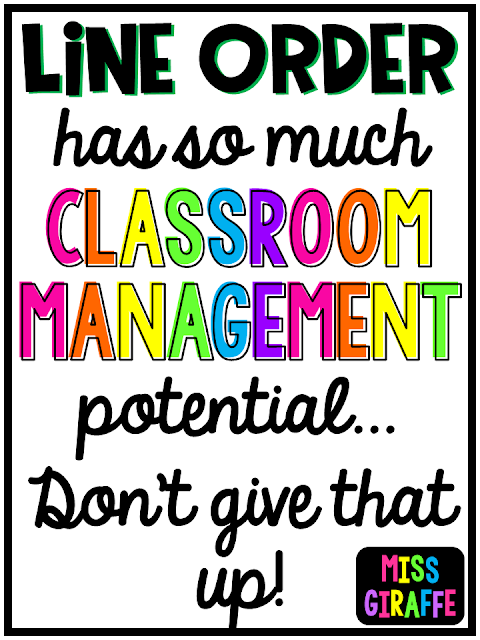 The vast majority of teacher awesomeness skills you’ve accumulated are not grade level specific and are completely transferable to this new grade. Some may need a few tweaks but many don’t need any tweaking at all. This is not like your first year. I repeat: This is not like your first year. Keep reminding yourself of that! If you are a GREAT teacher, you’re a great teacher. Period. & Before you question that you’re a great teacher, don’t. A great teacher is the one who reads blogs like you are right now and is always trying to improve. What this tells me about you is that you care and are also possibly hard on yourself because you care so much. It’s really easy (and normal!) 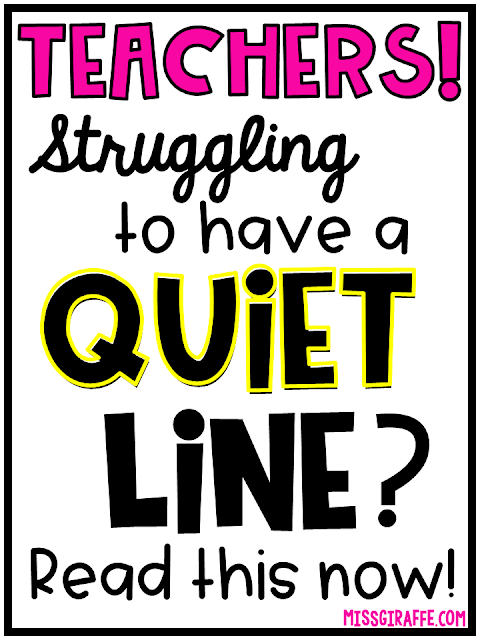 when being faced with a grade level change to question your abilities in all aspects of teaching so if you’re doing that, know that it’s perfectly normal to do so but it is also silly so tell that voice to shhh :) You will rock this new grade level. Even if this is just going to be your 2nd year teaching, you still have a whole year of tricks you’ve learned and personal experiences of what worked and what didn’t to bring into this new year. So, above all, I want you to not be hard on yourself. This IS going to be a lot of work. It will be overwhelming at times (when is teaching not though?) but you’ve got this. You’ve totally got this. …and you might just love it! Okay I promise I will get to the actionable tips really soon but I feel like mindset is half the battle here and switching grade levels can be a really emotional thing so it’s important to nurture your feelings, not just your bulletin boards. Step 3: Use your current grade level expertise to plan for this one. Take a second to write down your absolute favorite activities or things you do in your current grade level. You’re probably thinking, “I can’t do ___ in [new grade]!” Actually, you probably can! Just take a moment to sit down with a pen and notebook in hand and think of your favorite activities from this year or previous years, write them down on a piece of paper with a line space in between. A writing prompt kids really liked, a craft you did for a holiday, a math center the kids really enjoyed, a fun activity you all did together, a book they really loved that you read aloud, a science topic they thought was interesting… etc. 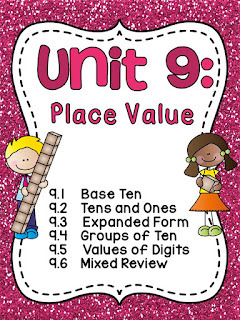 Then, for each one, map quickly how you could modify it to do it in your new grade level. I bet you can and that modifying it for your new grade will actually make it better. This is especially easy to do for your favorite seasonal and holiday activities. Think of the fun things you did this year and see how you could do them in your new grade level. Even if you’re moving 4 or 5 grade levels up or down, you can still do this. If you’re moving down in grade level, you can take that activity and make it way more fun by making it craftier or more hands on or less writing lines or less difficult ways to show their knowledge. If you’re moving up in grade level, you can make it way better by digging deeper and exploring more… doing cooler, more complex projects about the topic. If it’s a writing activity, it might just be more or less lines or a little tweak to the directions. If you have trouble coming up with ways to make it in your new grade, search that topic and your new grade level together on Pinterest. I bet someone has come up with something! You’ll be so surprised to see you can still do the vast majority of your favorite activities from your previous grade level. I feel like that brings a lot of comfort and helps you see you’re not totally starting over. Seriously try it, have an open mind, and start planning there :) Even if it’s a multiplication project and now you’re moving to first grade, I bet you can find a way to make that activity for addition and/or subtraction. 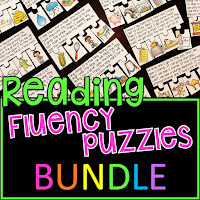 In fact, I know you can because if you read my Addition Fact Fluency blog post with all my ideas for how to help kids master all their addition facts, I literally made that unit and its activities into a multiplication fact fluency unit and I actually think that unit is even better! Because I make teaching resources, I constantly have teachers in different grade levels asking me to make an activity I have but for their grade level. 9 times out of 10, it’s actually easy to do! If you have a team you’re joining, ask them how they do things! Go into their classrooms, look at their set up – how do they organize centers? How do they do small groups? How do they do everything? Ask them questions! If you find out you’re changing grade levels before the current school year ends, go into those classrooms during your specials or any breaks you have during the day to see what it’s like with kids in that grade in the classroom. Go visit the teacher and low key spy on the class to see what that age is like. It’ll give you an idea of what that grade level is like, what to expect from the kids, etc. Even more awesome if you can see them during centers or an activity. Look over their shoulders to see where they are. Don’t let it scare you if the class you visit is a little crazy – that teacher is not you and you might run your classroom way differently – plus, it is the end of the school year and, let’s face it, everybody’s tired :) It’ll give you a great idea, though, of what the grade level is like. If you’re teaching a different grade level, you most likely have specials/lunch/etc. at different times so that makes it easy to pop in and say hello for a few minutes to that teacher and do some undercover work :) Don’t stay a long time, just pop in and say hello, say you wanted to check out what __ graders are like. You could also pop into the grade level of the kids you’ll have next year to see where they’re at. If you’re going to be teaching third grade next year, pop into the 2nd grade classrooms. That’s actually a great way to see where they are at academically, behaviorally, level of independence, etc. Even if you’re moving to a new school, it still will give you an idea of that grade and where they’re at toward the end of the year which gives you a good idea of how they’ll be when they come back in the fall. If you’re reading my blog, you probably already do this but utilize social media! There are SO many great ideas out there ready to be found. There are also so many wonderful people sharing how they do things, tips for pretty much everything, and many of these people are so willing to help you! Find the ones in your grade level and/or that inspire you. If you see something cool on social media, even if it’s in the background of a photo, don’t be afraid to ask them what it is, how they use it, what they recommend, etc. A lot of people are so willing to help! You know those teacher hearts. Teachers love to help. I type out novels when people ask me questions sometimes and it makes me feel good to know I helped someone… and I know a lot of other people feel the same. I never feel like you’re bothering me and I’m sure others feel the same so don’t be afraid to reach out for help. If you don’t get a response from someone, please try not to be upset though – they may get hundreds of questions a day (especially if they have a large social media following) and simply miss your question or maybe they simply don’t have an answer they feel is good enough to give you so they let your message sit until they feel like they have something helpful to say. Search your question first though – there are probably already blog posts about it! This is the biggest tip that will help launch you into feeling ready. I love this one. Don’t just plan and gather materials for each new concept as it comes up in your curriculum during the school year. That can leave you feeling overwhelmed all year long, with that feeling of always scrambling to catch up, which is probably one of your fears going into this new journey. There’s an easy way to solve that! Look at your standards in your new grade level. Create a Pinterest board for each subject or major standard for the entire year. This is super quick to do. Simply create the empty boards first. I recommend breaking it way down – have a board for each math skill – a board for fractions, a board for addition, a board for measurement, a board for telling time, etc. I do this and it helps me so much! You can look at my organized boards here and feel free to save any or all of my pins to your own boards if you teach K-3 and would use any of the ideas. See how my boards are organized by topic? I have a board for each type of phonics skill. I have a short vowels board, a long vowels board, a vowel teams board, a digraphs board, and so on. I also have a board for each math skill (a board for number sense, a board for adding 3 numbers, a board for geometry, etc. ), a board for classroom management, a board for grammar. You could break each grammar skill too into boards with a board for nouns, a board for prefixes and suffixes, etc. and do that for any subject – science, writing, etc. I also recommend separate boards for each holiday you do in the classroom. Yes, this is a lot of boards BUT it makes it so much easier to find what you’re looking for when you have such specific boards. Then, when you go to teach that skill, you can go straight to that board and have a bunch of ideas you personally picked out to help you feel excited, inspired, and ready to teach it. If you just have a huge “2nd grade” board, you’re going to scroll and scroll and scroll and get so distracted by ALL the things you’ve ever pinned that you won’t get much done when you go to plan. This digital organization of each concept will save you so much time during the year! Throughout the summer, as you’re looking online for fun ideas, save them to the board they fit on and then when you go to teach that skill, you’ll have all these ideas already all there for you! Plus, this will help get you excited for your new grade level! Now it’s time to fill your boards! Search each standard you have to teach by typing in the concept (for example, type in “Digraphs activities”) and scroll through a little bit and save ideas and activities you like. Don’t make it a chore to fill your boards. Let it be fun! Fill them as you see things you love. Only save things you really like. Especially save things if they’re already made for you and available on TpT so when you go to teach that concept, you already have resources made for you lined up to possibly use. It is so, so helpful to buy year sets of things. Make sure it is a quality resource from a TpT seller you trust that makes resources for that grade level, then buy a year set of it. If it’s a set of math units, try out a unit and if you love it, buy the full year set. If it is a type of morning work or a certain activity to do at centers, buy a year set. The consistency is SO helpful and will help both you and your new students get into a routine that lets you transition into these new things to teach with ease. I used to think piecing together free or cheap things here and there was saving me money but really it was SO much work and not worth my time to constantly be searching. Find a few TpT sellers you know, love, and trust, and buy their bundles. Whether you get resources from me or someone else though, either buy year sets or buy something individual to try out that also comes in a year set so that you can have it for the entire year whether you upgrade to the bundle or keep buying the individual sets piece by piece so that you can have that consistency. Consistency, consistency, consistency. I can’t stress that enough! It will help so much with avoiding that scrambling feeling. Having to constantly scramble for resources every week for your new grade level is stressful. Don’t do that to yourself. If someone already did the work for you, let them. & Trust me, someone already did the work for you. 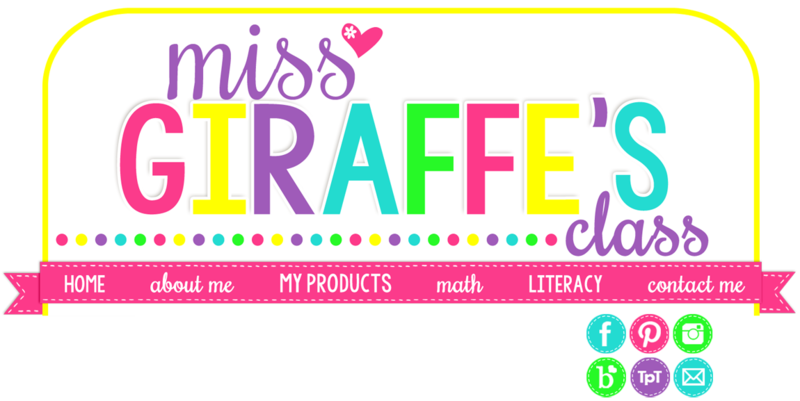 There are so many amazing sellers and resources on TpT that no matter what you are looking for, I bet someone not only already made it but made it look really nice and colorful and ready for you to just hit print and enjoy the rest of your summer. Yes, maybe you can make it yourself but you’re probably making pennies per hour in how long it takes you and actually you’re probably losing money. 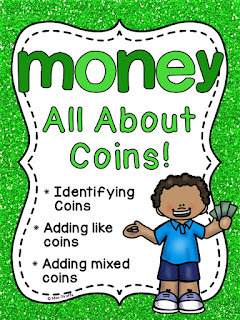 & If you’re spending HOURS searching for free things to avoid buying anything (so tempting) and piecing together all these mismatched free things… honestly, you’re creating more work for yourself IN the classroom because you’ll always have to explain to students this new style/activity... and are you actually saving money? If you spend 3 hours looking for free things to do that you could’ve gotten already made for you and way better quality for $4.. you’re paying yourself about $1.33 per hour. Isn’t your time worth more than that? That is some looow pay for someone as highly educated as you. I was born and raised to search for bargains (I still have paper towel rolls for crafts in my cabinet) so it took me so long to realize this but it was such an AHA! moment when I did. I used to scour for free things when I needed something and would feel so accomplished when I found something cute (like that rush when you find a really cute shirt way marked down on sale) – then I realized that I was really cheating myself out of so much time I could spend doing something else (and wondering why I always felt like I wasn’t getting things gone) and really devaluing my time. Plus, piecing together a bunch of free items doesn’t have a flow to it. Your students might feel like they’re scrambling too, to figure out how to do the new thing or if things don’t match even for the same concept. 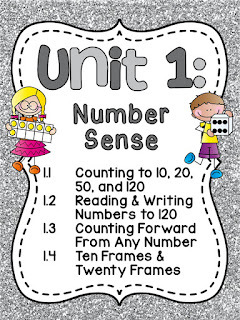 If you use my math units, for example, you know the centers practice exactly the concept the classwork and worksheets practiced. The fun cut and paste worksheets practice the same skill. The assessments are straightforward and exactly what they’ve been practicing all week/weeks in their classwork, homework, center work. It’s cohesive. If you’re teaching them [whatever math skill] and piecing together a bunch of different things, it’s going to feel all over the place, especially if your assessment doesn’t accurately assess what they’ve actually been working on. You know?? I hope that didn’t sound like a lecture. There are some awesome free things out there but I am SUCH a frugal person that it took me a long time to realize how important this is. Once I did and realized that was a huge part of why I felt so stressed, I wanted to shout it from the blogtops :) Now I pretty much only use free things to see if I like something enough to buy a full set of it. 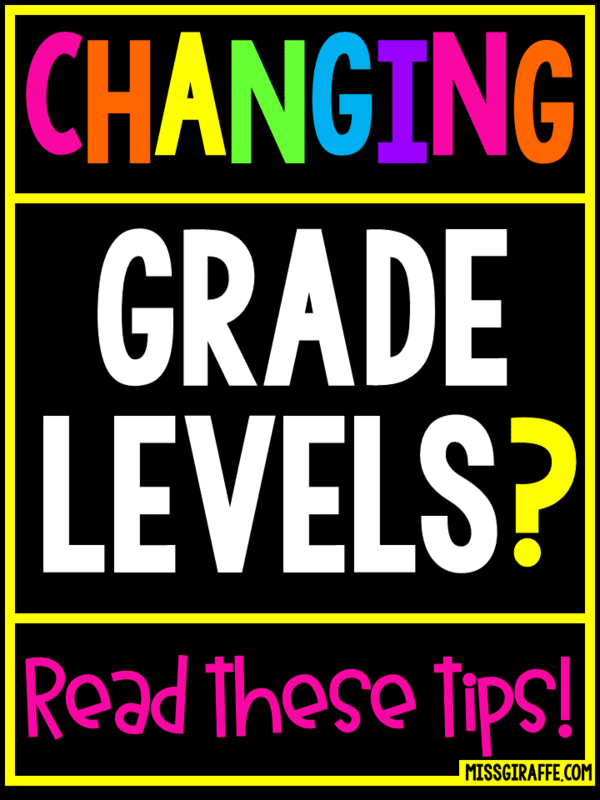 Since this is a new grade level to you, though, you may want to try things out for a few weeks first by only getting a few resources while you get to know your new students and this grade’s ability levels and what works for them. Personally, I’m the type of person that would want to have my worksheets and centers prepped several weeks in advance at least, especially for the first few crazy weeks of school, so I would buy year sets up front so I could get them in bundles and prep them way ahead of time. I want to sit on my couch and watch junk TV while I cut out centers waaay before I need them. Step 8: Read teaching blogs! Any time you come across a new concept you’re unsure how to teach, search it (type in something like “How to teach multiplication third grade”) and click on teaching blogs that come up in the first few search pages. I bet several people have written posts about how to teach it to help you! I personally love writing those types of helpful blog posts and have done them for a lot of different concepts like How to Build Number Sense or How to Teach Graphing and Data Analysis or How to Teach Arrays or Teaching Money (and so many more!) 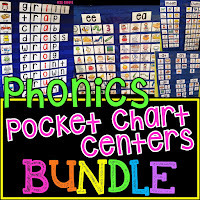 for math… or Digraphs Ideas or Sight Words Activities or whatever for literacy. If you find a post that’s really helpful, keep reading more on that person’s blog, I bet it’s not the only great thing they’ve written! Step 9: Enjoy the new age! Are they younger than you’re used to? Enjoy how sweet and cuddly and silly they are. Are they older than you’re used to? Rejoice in how much more independent they are. Going from 1st to 4th? OMG they can read directions! Going from 4th to 1st? OMG I can read adorable silly picture books in fun voices and giggle with them like I’m 5 at the funny pictures. Every grade level has its absolutely wonderful, amazing things about it and I’m so excited for you to find them in your new grade level! Thank you so much for taking the time to read all of this. This post was a lot more ramble-y than usual but I have had so many people telling me they’re switching grade levels this year and I wanted to try to offer some words of comfort and advice! I have SOO many blog posts planned out to post now – from reading to classroom management to math to more teacher tricks – I am really excited! Here's an image for you to pin if you want!